With the start of the 2014 World cup in Brazil there are a number of tools to help you analyse the teams involved and predict which team will top their group and qualify for the next stage. Unsurprisingly fifa.com has plenty of information on the 2014 World Cup in Brazil including up to date Football rankings for international teams with tables showing which teams are on a rise or a slide. 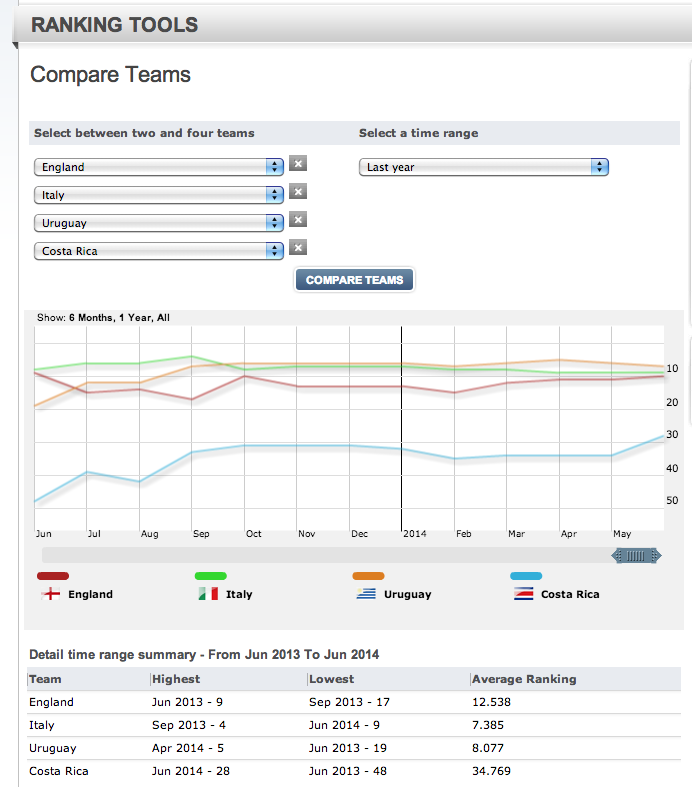 Use FIFA ranking tools to compare between 2 and 4 teams and see which are ranked highest in a group.